Every Friday, we feature five food finds selected by local chefs, personalities, or readers. 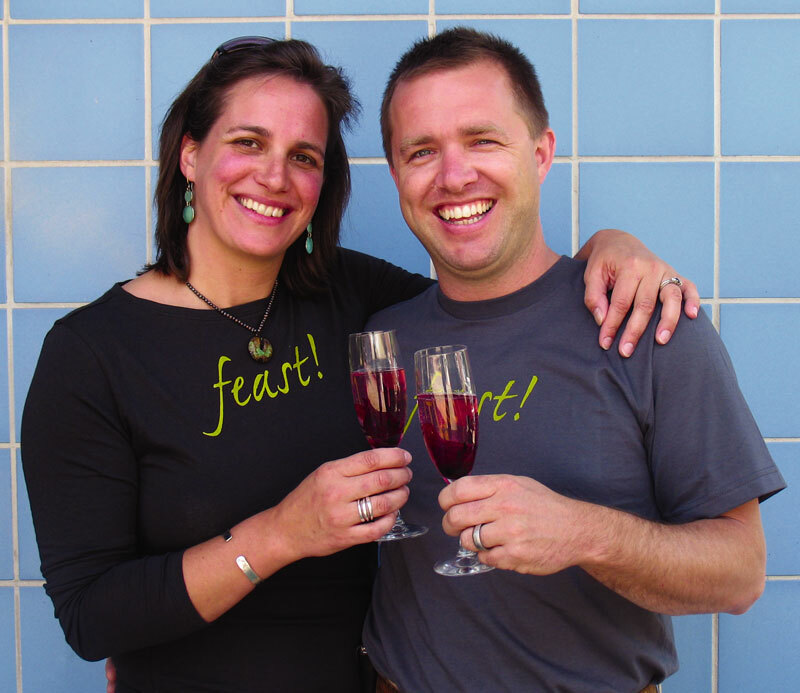 This week’s picks come from Kate Collier and Eric Gertner, the happy couple that runs Feast!, Charlottesville’s favorite gourmet food shop and cheesemonger. Below are their picks from five favorite restaurants. Also below is a dining out tip from Kate and Eric, which we wholeheartedly endorse. 1. Now & Zen: Yellowtail sashimi appetizer, Chirashi entree, and Cowboy cookies. 2. Zinc: The Palmer cocktail, Fois Gras Torchon appetizer, and the daily recommendation of chef Justin Hershey for an entree. 3. La Guadalupana: Crispy Pork Carnitas (weekends only) and Modelo Especial. 4. Brookville: Virginia Ham Fritters, and Chef Harrison Keevil’s special recommendation of the evening.